It is about time to do some drawing again. I’ve actually started two new drawings, one of a rooster (stay tuned for more on that), and this one. 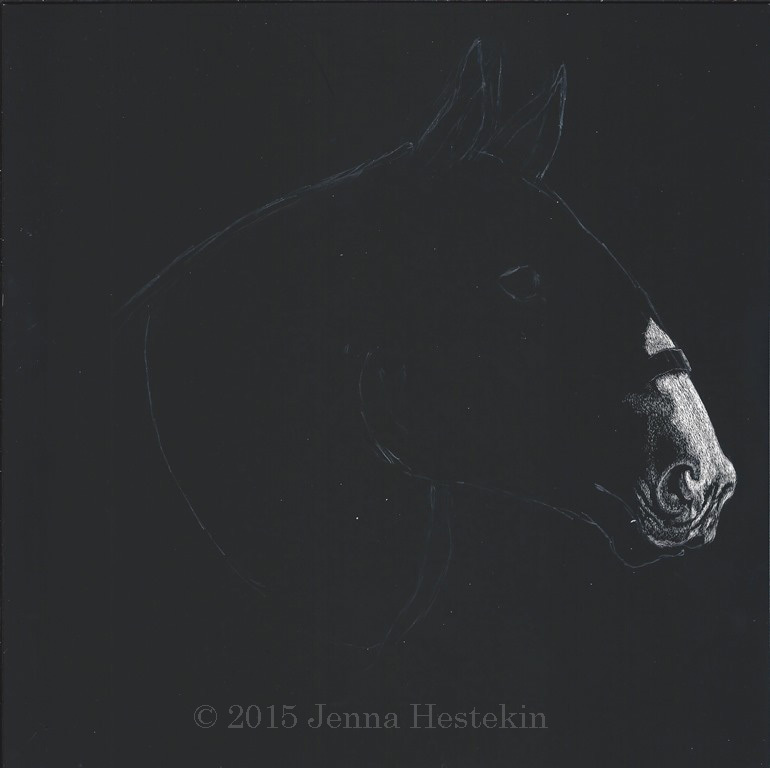 This is going to be a draft horse, a strong, elegant draft horse in a dazzling, gleaming harness. It will be complex and detailed, which is a good thing. This is a scratchboard, measuring 8×8 inches. The only tool I’ve used so far is a #11 X-Acto knife. The fun has just begun. I hope you’ll enjoy following along as I work on this. Love seeing your updates!!! That is going to be so beautiful! !